My penultimate spread. (Penultimate… one of my favorite words.) Only 5 more days to go! 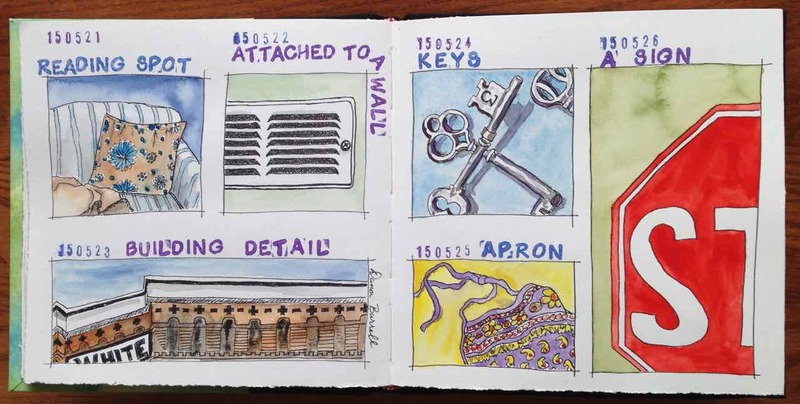 This entry was posted in EDiM2015 and tagged Apron, Building detail, EDiM, ink and wash, Keys, Reading spot, Sign, Watercolor by Dana Burrell. Bookmark the permalink.